AI AI DE LAS ALAS has made some blockbusters with Viva Films like “Cute ng Ina Mo”, “Kapag Tumibok ang Puso” and the co-productions with Star Cinema. Now, she’s returning to Viva and she has brought along as co-stars her hot hitmaking charges, the Ex Battalion. The film is written by Mel del Rosario and to be directed by Dado Lomibao. At the same time the members of Ex B will be getting ready for their first major concert to be produced by Viva. 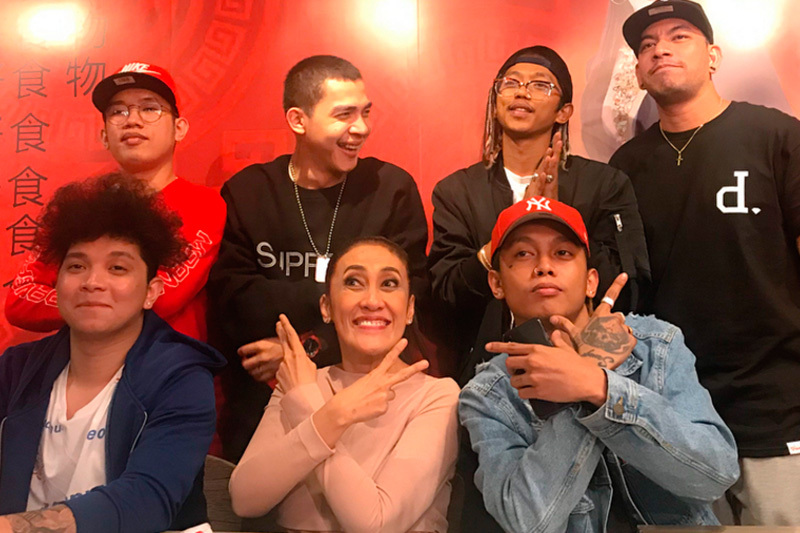 Ai Ai ventured into a new side of showbiz early this year when she became the manager of the rap gangsta group Ex Battalion. 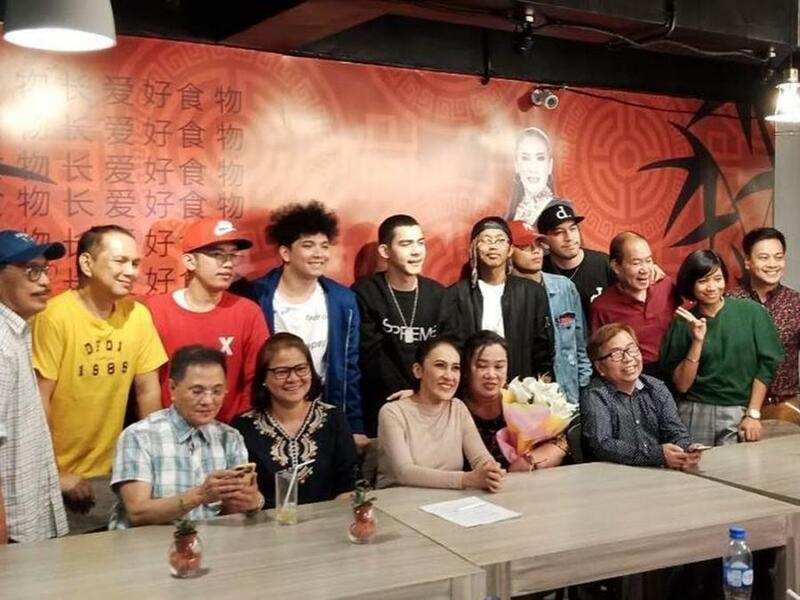 The Ai Ai and Ex B movie will also mark the acting debut of the members of this talented hip hop collective, which has introduced a new type of sound to the local rap scene. Being a collective means that all of the members are solo artists who can work together or on their own. It was formed by Bossx1ne six years ago and now includes the following rappers: Emcee Rhenn, King Badger, Skusta Clee, James Brando and Flow G.
Ex B broke into the big time with "Need You" two years ago. This was followed by "Tell Me", and then "No Games" which brought the group into the top ten of the Philippine hit charts. 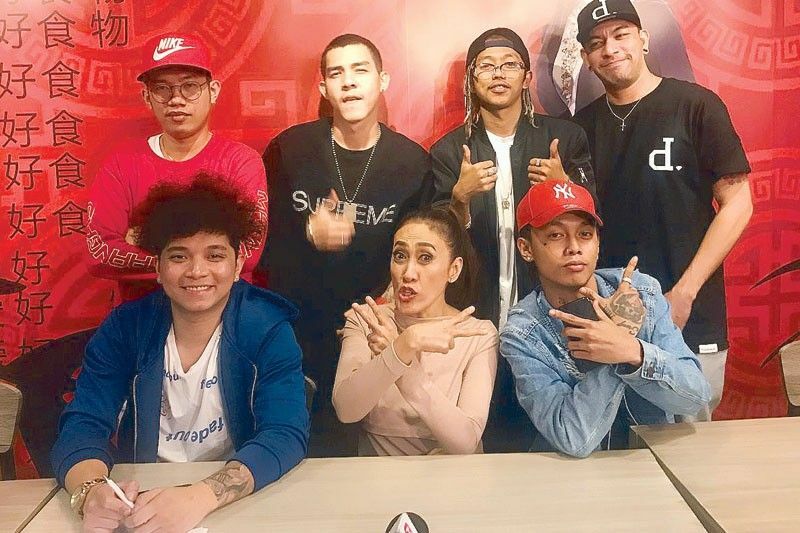 Late in 2017, Ex Battalion released what would become their biggest hit to date, "Hayaan Mo Sila." The catchy number one best seller which has dominated airplay, social media, streaming and downloading sites these past months is a soft, engaging rumination on living while surrounded by meddlers. So watch out for Ai Ai and the Ex Batallion in this major motion picture event where Viva will bring together drama, comedy and the latest in Pinoy music. Shooting starts in July.